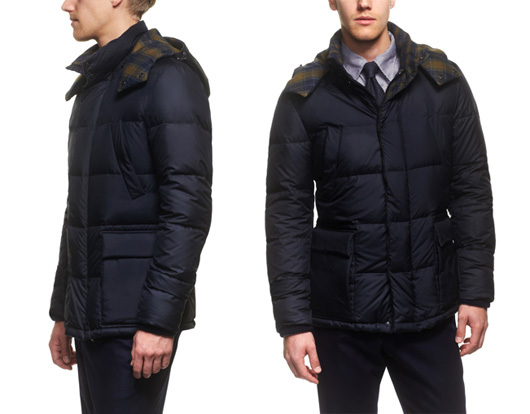 March to the beat of Isaia’s drum this winter with one of their luxe, whimsical down jackets. 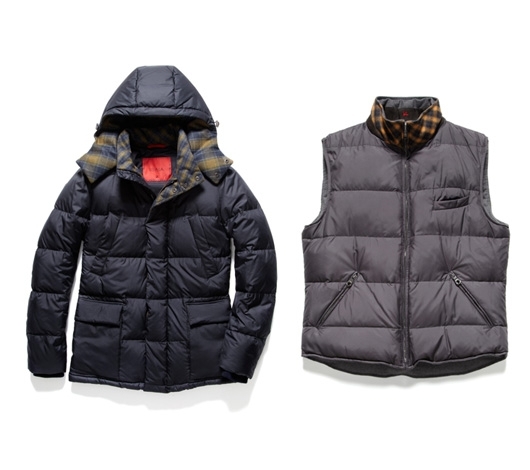 The down vest is reversible, giving you a two-in-one piece of outerwear that’s hardy enough to combat inclement weather in a pinch. Made from polyamide and wool with a vibrant blue/orange collar lining. 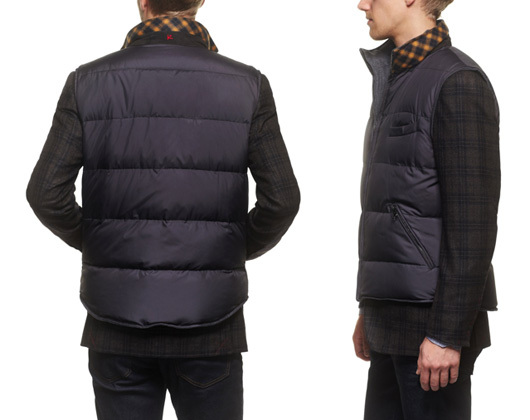 And, of course, for those days when a down vest just won’t cut it, there’s also a down jacket that’s the big boy version of the vest. 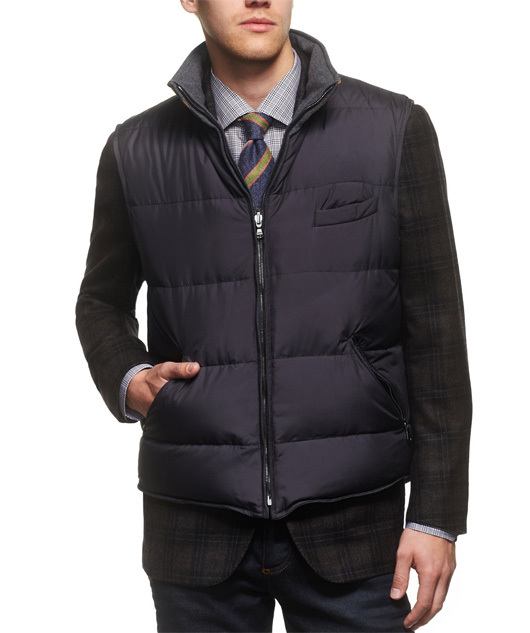 This entry was posted in Collections, Outerwear and tagged Isaia. Bookmark the permalink.